Product categories of Surfboard Bike Rack, we are specialized manufacturers from China, Surfboard Bike Carrier, Surf Bike Racks suppliers/factory, wholesale high-quality products of Side Surfing Bike Rack R & D and manufacturing, we have the perfect after-sales service and technical support. Look forward to your cooperation! Packaging: surfboard bike racks are packed with high-quality brown carton or color box as customer\'s requirements. The racks are made from high quality,aluminum materials. 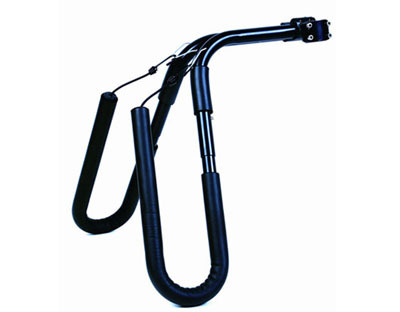 They are easy to install and designed to avoid damaged to your bike or scooter frame. There are several adjustable styles available to fit the surfboards on racks. Make your bike or scooter a real beach cruiser with Onefeng Surfboard Rack.